The recent Tamil movie Kathai Thiraikathai Vasanam Iyakkam covered many aspects of Indian Cinema and there was an interesting piece on Interval blocks in Indian Cinema. The movie mentioned in this context was a Tamil movie Namma Veetu Deivam released in 1970. The husband (Muthuraman) kills his wife (K R Vijaya) in the outskirts of his village and returns home. As he approaches the door he finds his wife open the door and is shell shocked. This is where the interval break is. This raised some thoughts around interval breaks in cinema and how they have influenced the grammar of script writing. In the Initial years all movies across the world had Interval breaks. The reason was the operator needed time to change the reels in the projector. In the modern days with the advancement in film and projection technology this time is non-existent. However the concept of Intermission or Interval break for 10 – 15 minutes is still prevalent in Indian movies and possibly Italian movies. Also in early days as the film roles were expensive two theaters could screen the same movie with a time difference and exchange the reels during the breaks. The reason it is continued still is for commercial reason. The break is an opportunity to attract the audience to the snacks counter and increase revenue. Though the reason is commercial it has a heavy influence in the script writing for Indian cinema. The structure of the screen play is not the traditional 3 act structure but has an interval block in it making it a 5 act structure where the interval block is one of the peak points of the build-up phase and post the interval there is a revised context leading to the climax. The script writers make the interval block with high impact to raise the interest levels of the audience. Let us look at some of the high impact interval blocks in Indian Cinema. In the movie 3 Idiots the two guys go in search of their closest friend after years of graduation. As they reach the town where he lives in which is exactly at the midpoint of the movie they find an entirely different person in the name of their friend and they are also shocked to see their own photographs with this new person. 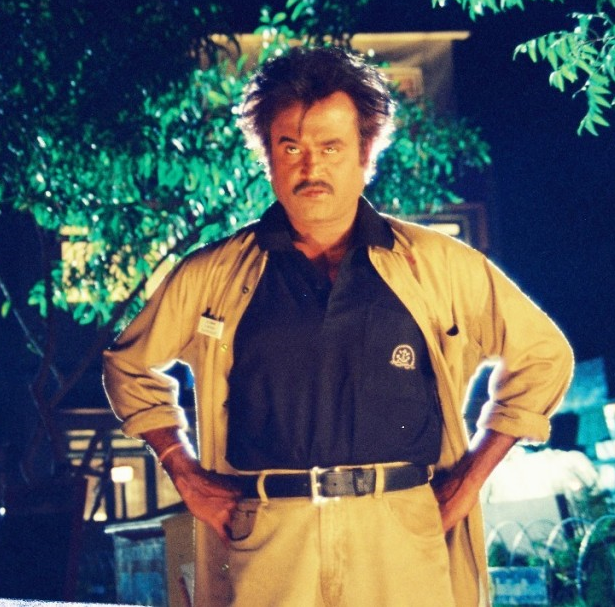 In the Tamil blockbuster Baasha, Rajnikanth is introduced as an auto driver who stays away from violence and undergoes torturous punishments to save his loved ones. But around the interval block when his brother and sisters are in danger we see him beating up the bad guys and it is revealed that he is a terrific don who is in hiding, his soft voice turns into a commanding voice that echoes through the hall “Naan oru thadava sonna… nooru thadava sonna mathiri…” (If I say it once its equivalent of saying it 100 times) It is one of the most powerful interval block for a Rajnikanth starrer. In the Tamil movie Earem the first half has a series of murders happening and at the interval block it is revealed the murders are being committed by the ghost of the ex-girlfriend of the investigating cop. When I was in the theater watching this movie during the break a kid sitting in the cinema hall exclaimed with excitement “Wow! This is a ghost movie…” Interval blocks should contain such an excitement. The recent blockbuster Jigarthanda also had a very dramatic interval block. While interval block is significant part of a script sometimes over hyping it has a danger of spoiling the movie. When the audience is left with a high expectation and they are down in the second half, the movie would fail. That’s where the audiences say only the first half of the movie was good. In general in a good script the tempo of second half of the script is higher than the tempo set at the interval block.